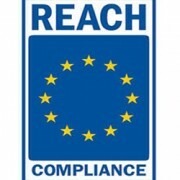 EU REACH is covered in the Regulation (EC) No 1907/2006, which was published in December 2006 and entered into force in June 2007. 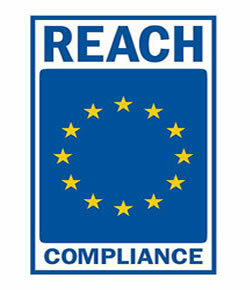 REACH stands for Registration, Evaluation, Authorization and Restriction of Chemicals. EU REACH streamlines and improves the former legislative framework on chemicals in the EU. REACH is based on the idea that industry itself is best placed to ensure that the chemicals it manufactures and puts on the market in the EU do not adversely affect human health or the environment. REACH is covering all substances, whether manufactured, imported, used as intermediates or placed on the market, either on their own, in preparations(such as cosmetics) or in articles, unless they are radioactive, subject to customs supervision, or are non-isolated intermediates. Waste is specifically exempted. Manufacturers or importers of substances in quantities exceeding 1 tonne of the substance per year must comply with REACH, and must submit a registration to the European Chemicals Agency. A registration means that the manufacturer or importer has provided a registration dossier to the European Chemicals Agency and not receive any indication that the dossier is incomplete. This, however, does not by itself mean approval. To find out the properties of the substances, information requirements are set out in the testing annexes that vary according to the tonnage in which the substance is manufactured or imported, and to the needs of the chemical safety assessment. The tonnage ‘trigger’ has been chosen as it gives an indication of the potential for exposure. Tonnage for phase-in-substances is calculated as a three year average as long as they have been manufactured or imported for 3 consecutive years. The chemical safety report (CSR) for substances manufactured or imported in quantities starting at 10 tonnes, documents the hazards and classification of a substance and the assessment as to whether the substance is PBT or vPvB. The CSR also describes exposure scenarios for specific uses of substances that are classified as dangerous or are PBT or vPvB substances. All substances of very high concern present in articles above a concentration limit of 0.1 % weight by weight and present above 1 tonne per year must be notified to the European Chemicals Agency except where exposure to humans and environment can be excluded during normal conditions of use including disposal. In such case safety instructions should be provided. Information will also be made available to consumers on request. The communication requirements of REACH ensure that not only manufacturers and importers but also their customers, i.e. downstream users and distributors, have theinformation they need to use chemicals safely. Information relating to health, safety and environmental properties, risks and risk management measures is required to be passed both down and up the supply chain. Substances of very high concern require an authorization for their use and their placing on the market. Identified from scientific evidence as causing probable serious effects to humans or the environment equivalent to those above on a case-by-case basis, such as endocrine disrupters. REACH Regulation also deals with the restrictions of substances which pose an unacceptable risk to health or the environment. All activities with a substance which are not restricted are allowed under REACH unless the substance is included in the authorization system. EU REACH is promoting an agreement on the hazard classification (and consequently labelling) of all dangerous substances either manufactured in the EU, or imported into the EU.